Epithelioid GISTs are more commonly seen in Stomach and are fairly rare in the small intestine. The tumor nuclei are rounded and hyperchromatic, with occasional prominent cell borders, bringing epithelial malignancies into the differential diagnosis. 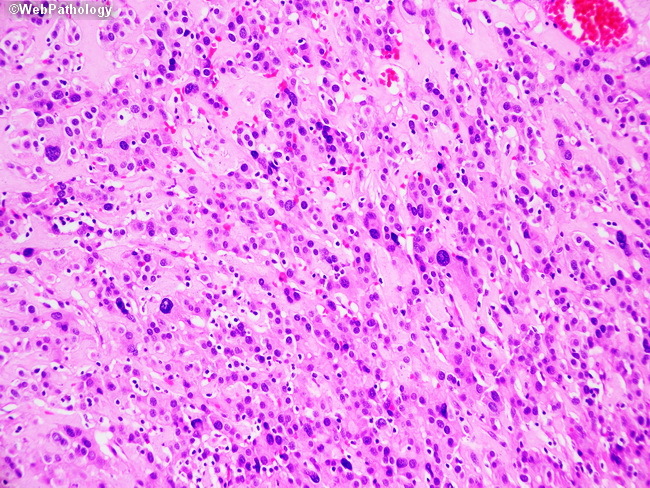 This tumor demonstrates background edema and numerous lymphocytes.